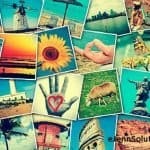 Home » Best Photos For Business Websites and Social Media! In today’s visual society, photos have a strong capability to improve and grow a business online. Be careful though–this powerful tool can also be your content’s downfall. In our latest seminar, we chatted with Rinat Halon Neal who shared her expert advice on how to make photos really work for your business. Rinat is a professional photographer, certified by the Professional Photographers of America, who researches the influence of photography on purchasing behavior. 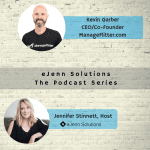 It was eight years ago when she realized that many businesses were not connecting with their target audience online. While big businesses had no problem, small businesses needed more guidance, leading her to create her photo marketing strategy in hopes to help them connect and grow. Tweets with photos actually get 35% more retweets than those that don’t. Facebook post pictures receive 37% more engagement on a post that does not have a photo. In the last 5 years, we have created 90% of the content that has ever been created since the beginning of mankind. Research shows that content with compelling images is going to get 94% more total views on average. 67% of customers say that a clear, detailed image is more important that the text that goes along with it. 60% of consumers are inclined to select the business that has images in their online presence. Because of the big impact photos have on engagement, many businesses are already using photos in their content. However, this might actually be to their downfall if not done correctly. According to Rinat, these are the three biggest mistakes that lead to photos making your content less appealing. A confusing photographic message. These are pictures that contradict your message or have confusing details that don’t show the audience what your business does or who you want to connect with. Irrelevant photographs. Does this photo have a connection to your message? Does the audience understand what you’re selling from the photo? If not, it has no place in your content. Too much information. If the audience doesn’t know where to start looking, or if there’s too much text or other variables in the picture, it won’t leave a good impression of your brand. In fact, research shows that if a potential customer sees a stock photo they associate with another company they had a bad experience with in the past, now they’re going to associate that bad experience with you and your business even though it had nothing to do with it. What a great example of emotions in photography working against you when done incorrectly! The photos that represent your business should be positive conversation starters that open doors with potential customers and clients. If there’s nothing there for them to connect with, they’ll move on. So what can your business do to make sure photos aren’t hurting you in the long run? You can start by listening to our video and using some of the resources listed in the webinar below. Or check out our links below the video. Rinat’s free ebook – This ebook is going to give you five strategies to improve your visual brand and attract your clients. Rinat’s free consultation – Book your free consultation with Rinat. 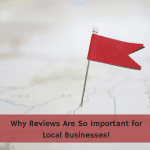 If you’re a small business, she’ll look over your website and see how she can help. Canva.com – This is a really great platform that helps businesses create and edit pictures and graphics. Try the free version or upgrade to access even more. When you’re creating content for so many different social platforms, their features, templates, and more can be a huge time saver. Facebook’s Overlay – If your Facebook ad has too much text, it will not run or reach the audience you need. This testing tool helps optimize the amount of text on pictures and will warn you if there’s too much. eJenn Solutions Site To Subscribe to New Blog Posts! It can be hard to decide what the priorities should be and where resources should go when investing in your business. What Rinat showed us though is that photos can’t wait. Having effective pictures can truly change your revenue, so don’t put off making changes to your photo marketing strategy.